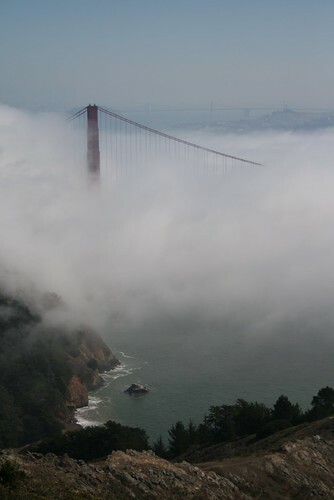 This thanksgiving, we decided to pack the Daewoo and get out of the Bay Area. We didn't know exactly where we were going, but we knew we wanted to see the desert. It was the perfect time to go see the desert because the temperatures were cool and there were less people. We took so many pictures that I decided to make a photo journal and share our thanksgiving adventure! The first place we drove to was Joshua Tree National Park. We didn't go rock climbing here because we were only driving through. It was raining in the desert here. Joshua Tree and most of Southern California is in the Mojave Desert, one of the four great deserts of North America. The Mojave Desert covers most of Southern California. The Great Basin Desert covers most of Nevada. 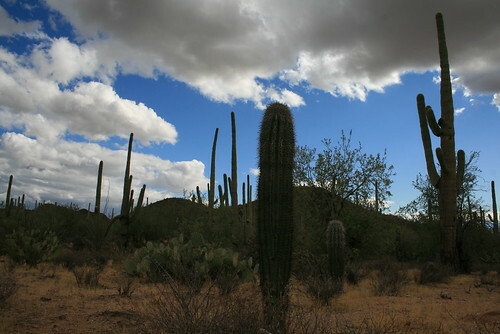 The Sonoran Desert covers South-Western Arizona and parts of Baja California. Finally, the Chihuahuan Desert starts in New Mexico and Texas and extends south into Mexico. 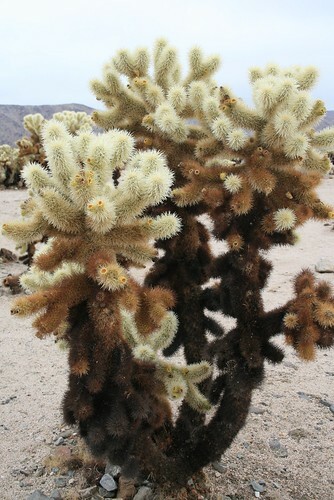 The Cholla Cacti grew dense in 'gardens' at Joshua Tree National Park. 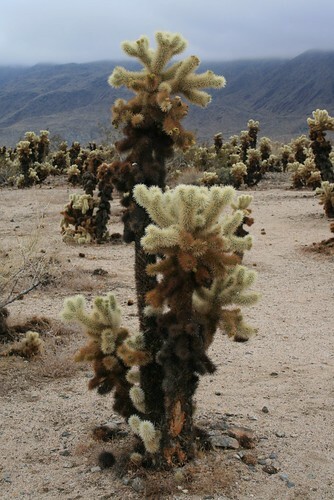 They grew at the transition zone, where the Mojave Desert transforms into the Sonoran Desert. Joshua Tree NP of course also had Joshua Trees, but we didn't take a picture of one for some reason! 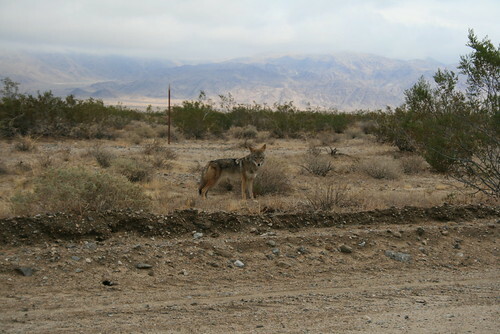 As we were exiting Joshua Tree NP, we saw a coyote along the side of the road. It paused and let us take a picture. It didn't seem afraid of us. 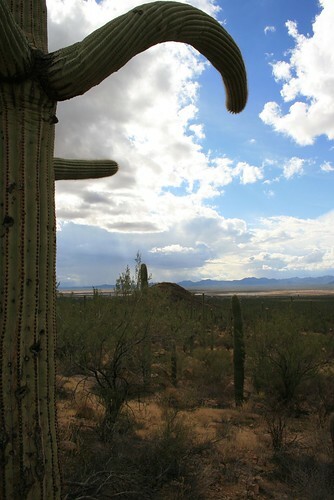 Next, we entered the Sonoran Desert, as we drove into Southern Arizona. Our goal was to go visit Saguaro National Park, where we took a short hike. 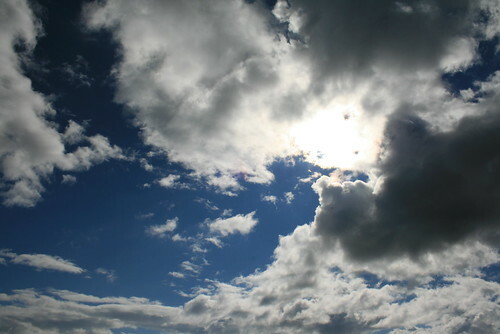 The weather was great, except it was actually raining and thunderstorming! A very rare event, but it happened while we were there! Saguaro cacti are very tall (probably 10 feet or more) and they grow very slowly. It could take up to 75 years for the Saguaro to start growing an arm. 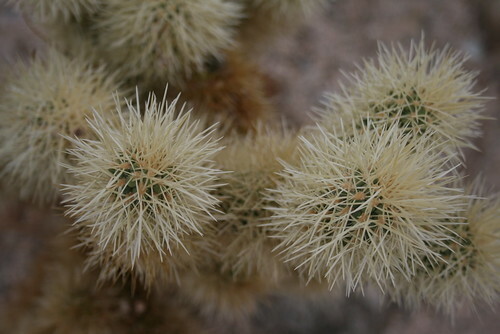 The arms are formed when the cactus flowers. 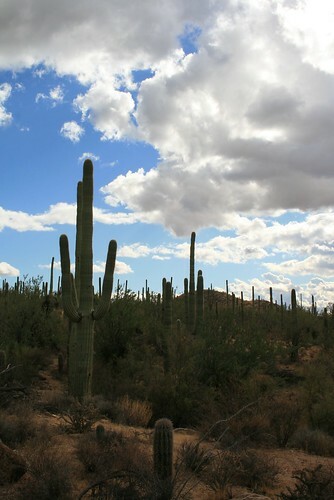 In the picture above, you can see many adult Saguaros and one baby in the middle-bottom of the picture. This Saguaro is disco dancing. Sometimes the arms don't grow upwards, but sideways. Then they really start to look like people! There are strong winds in the desert. There was one research group which concluded that the Saguaro grows ribbed trunks/arms because it makes it stronger against the wind, preventing it from toppling over in the wind. After visiting Southern Arizona, we headed north towards Phoenix and Flagstaff. On the way we drove through Sedona, Arizona. 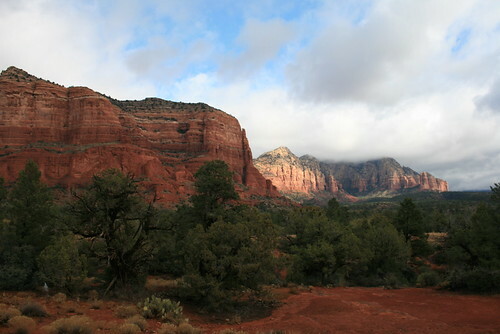 There were a lot of red rock cliffs in the area. 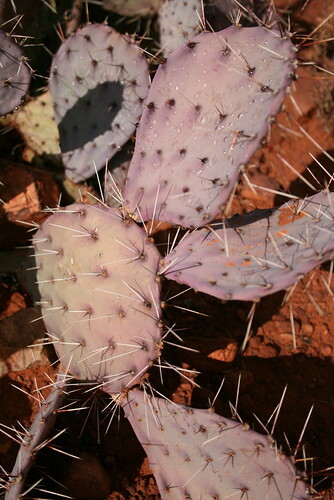 While we were hiking around Sedona, Arizona, we found a purple cactus. It was so unusual looking, I had to take a picture! It was even still wet from a short rainshower earlier that morning. This picture was taken on the way to Flagstaff. We were at about 6,400 ft in elevation. We never knew Arizona had mountains! Haha! The peak in Flagstaff had snow and was around 12,500 ft. The sky in Arizona was so crazy! We saw everything from 'little fluffy clouds' to giant thunderheads. As a last minute detour, we decided to visit the Grand Canyon. No visit to Arizona is complete without peering over its edge! It was really cold! 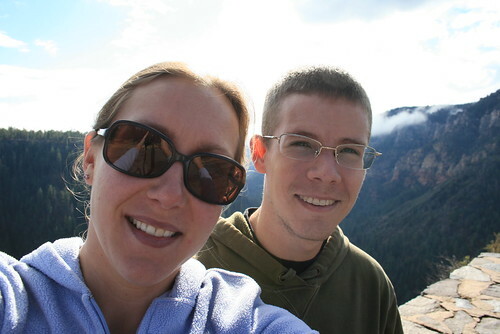 The elevation was about 7,500 ft at the south rim. There was some snow. And suprisingly there were a million other people who also wanted to visit the canyon! Romy looking over the canyon egde into the abyss. 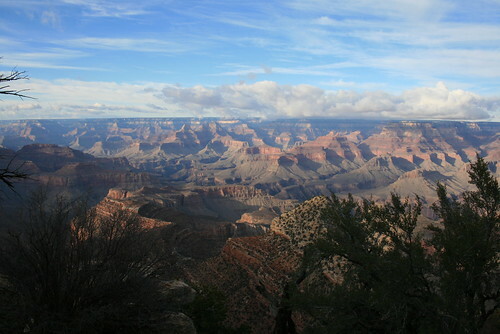 It was hard to actually see the Colorado River from the south rim. The Grand Canyon was carved over the past 6 million years. 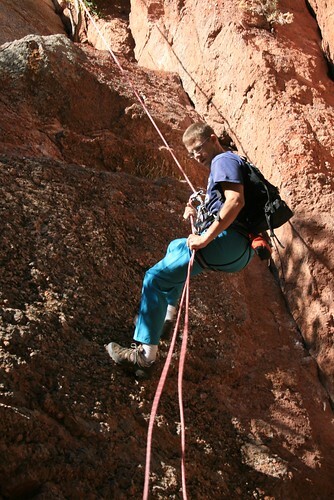 It is actually really really deep - almost 6,000 ft to the canyon floor in some places. Thats over one MILE!!!! 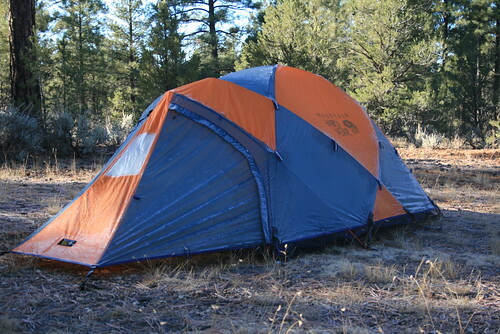 Even though it was really cold, we decided to camp anyways in the National Forest land near the south rim. When we woke up, the tent was frosted over. It was about 25 degrees over night. But we were warm inside the tent and our sleeping bags! We decided to drive along the east side of the Sierra Nevada mountains on our way back home. From Arizona, we drove to Las Vegas, and then into California. 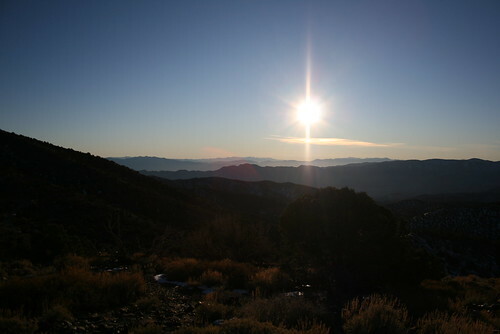 We camped in the Inyo National Forest near the bristle cone pine forest in the White Mounatains. We camped at about 6,000 ft. When the sun came up, we hurried up and packed up the tent and drove up to a lookout in the White Mountains at about 9,500 ft. We saw the sun rise and light up the Sierra Nevadas. They were sprinkled with snow. Looking east, into Nevada, you can see the rest of the White Mountains and almost into Death Valley. I created this panoramic picture from three pictures that I took of the Sierra Nevadas next to each other. 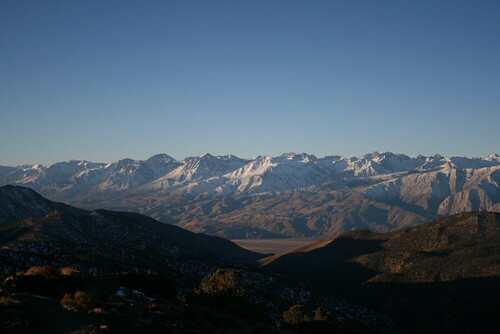 I am standing on top of the White Mountains, looking west over the Owens River Valley and towards the Sierra Nevadas. Mount Whitney is not in the picture. It is a little south. These peaks range from ~10,000 ft to ~14,500 ft. 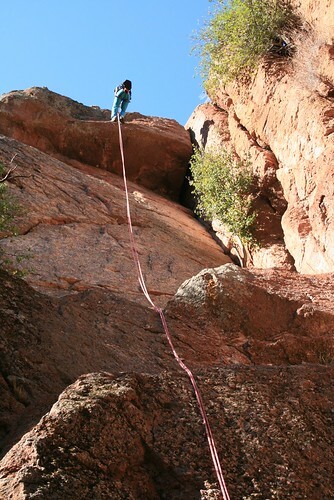 This weekend we finally got out to go climbing outdoors! 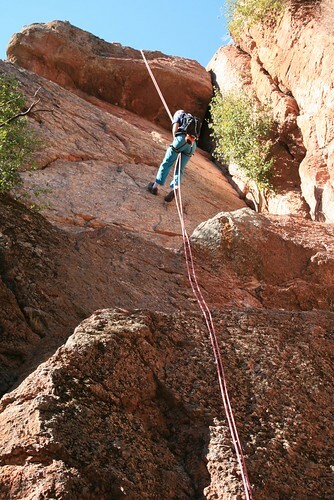 We went to Pinnacles National Monument, which is about 2 hours south of the Bay Area. 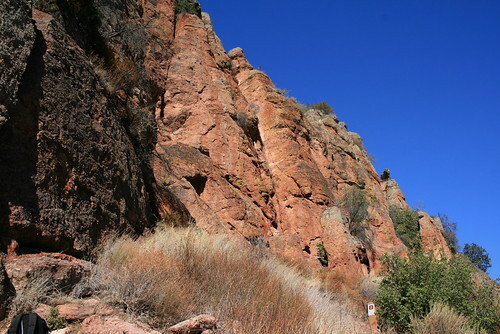 It is a park which lies along the San Andreas fault, and its used to be an old volcano which was eroded away into weird rock formations and pinnacles. 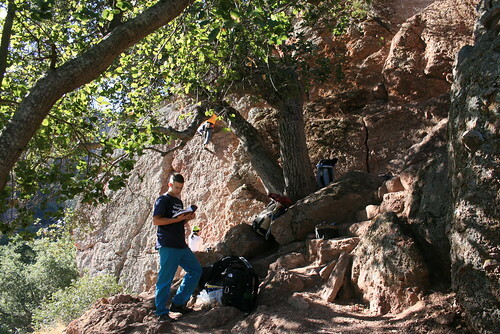 There are trails through the park, and two "caves" which formed when deep small canyons got buried in huge boulders. You can hike through the canyon "caves" which are mostly dark, since they are covered in rock debris. There's only a little bit of room to walk through, if you have a flashlight. We didn't bring one, because we went rock climbing. Next time we will visit the caves. Today is my birthday, and it was nice, sunny, and about 70 degrees out! 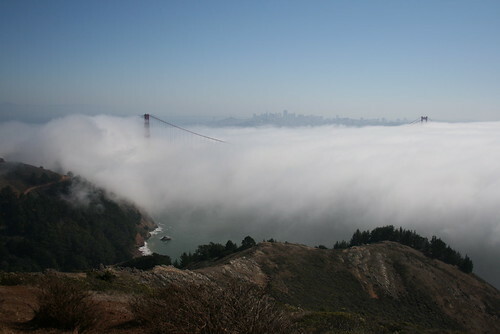 We went jogging at Joaquin Miller Park on the trails. I took along my GPS so that we could visualize the path we ran and also record the distance that we ran. We did a total of 2.43 miles. It was our first time jogging since we moved to California! Can you believe that!? When we got back to the car, I plotted the surface elevation of our jogging trail. We jogged the Sequoia Byway Trail, which was between 1,200ft-1,550ft in elevation! They are orange and super light, made of aluminum. The crampons are part of the frame, and there is an extend-able heel bar so that you can rest your heels when climbing uphill. 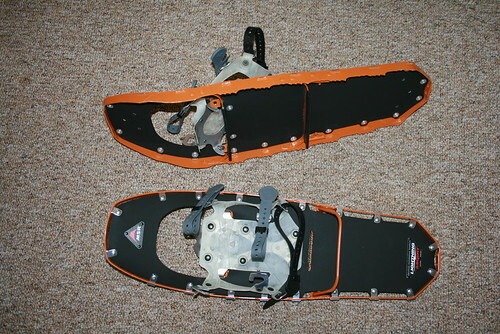 So even though it was my birthday, these snowshoes are for Romy. Now I have to find some for myself! !